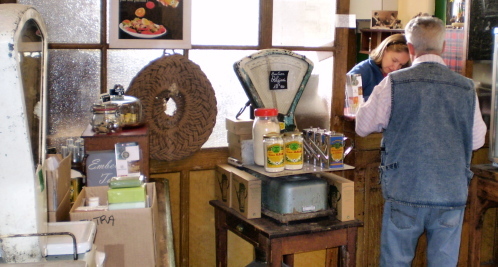 A hundred years ago the Magnan stream rolled downhill in the countryside northwest of Nice. 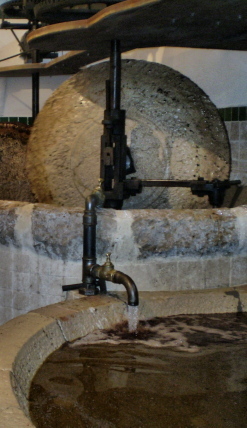 This naturally attracted mills and laundries to the area; they used the stream for power, for water and to wash away their residues. Urban Nice has expanded around the area; the stream is now what we used to call when I lived near Kansas City “a seemeant crick.” But the Alziari mill is still there right next to a big old industrial laundry. 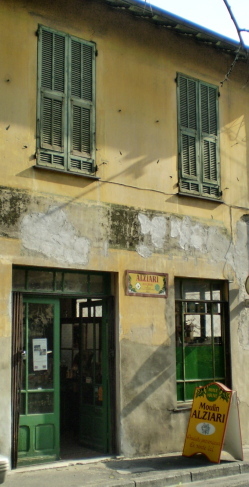 Next to the mill is the old Alziari office and shop where one can buy a wide range of olive-based products. 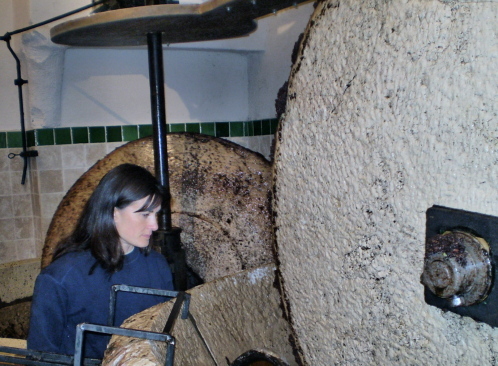 That is also where one reserves time at the mill and pays for it. 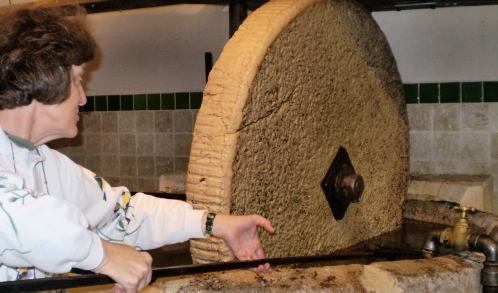 On October 17, 2007, Linda, Bruno and Fernanda took our smaller than usual crop of olives to the mill for pressing. 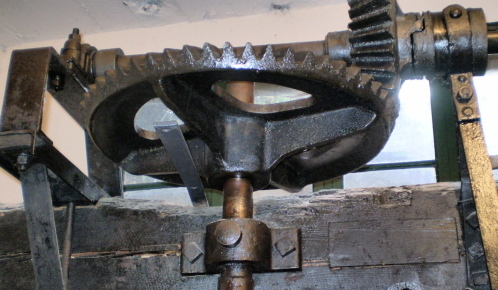 When the original mill was built in 1868, it was powered by water and the gears for the machinery were wooden. 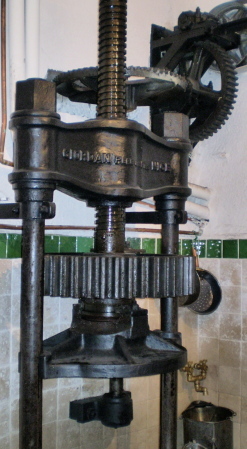 About 1930 the mill was moved slightly; cast iron gears of the same design and electric motors were installed. There is still an Art Deco look. 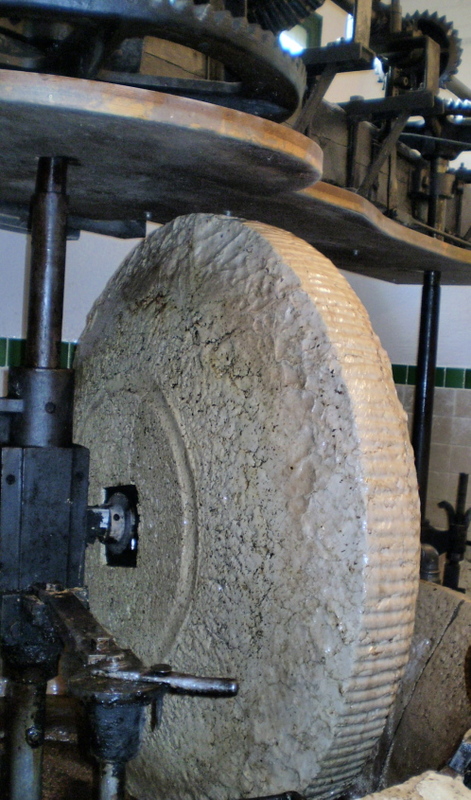 The current millstones, each weighing about 1.5 tons, were also put in about 1930. 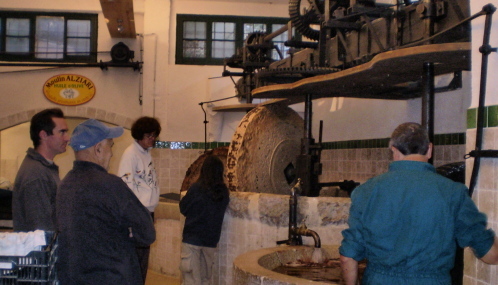 On arrival olives are weighed and then put into the big stone basins for two hours of crushing by the millstones. 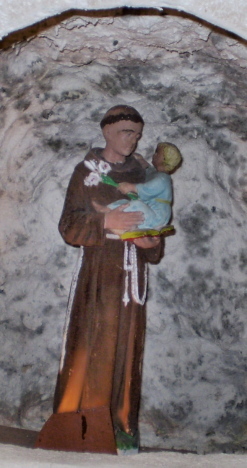 Saint Anthony of Padua watches over and protects the mill from his niche over the table at the far end. 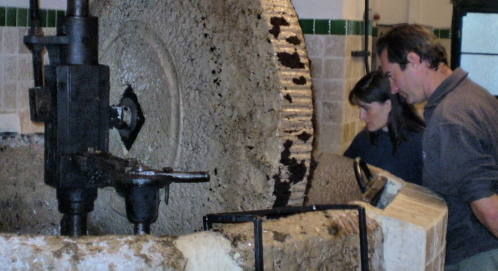 When crushing is done, cold water is added and the oil rises to the surface. 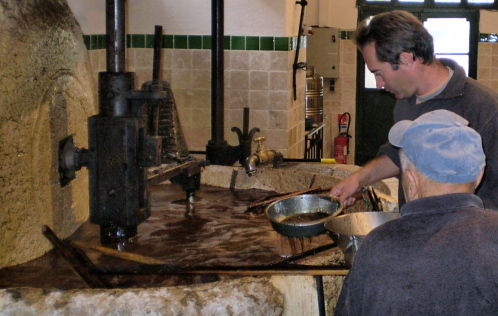 Bruno scoops oil from the top while Linda and mill manager, Patrick Kioutsoukis, rake it towards him. 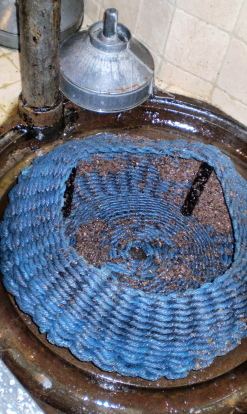 This oil is then poured through a strainer and is our “first pressing,” ready to take home. 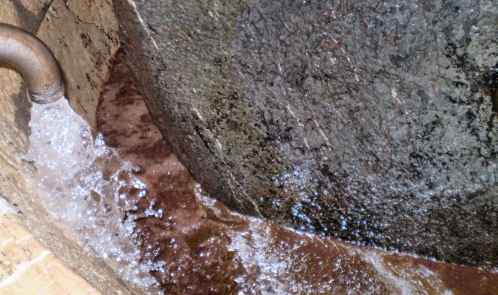 When there is no more oil on the surface, the millstone basin is drained into a lower basin and rinsed out. 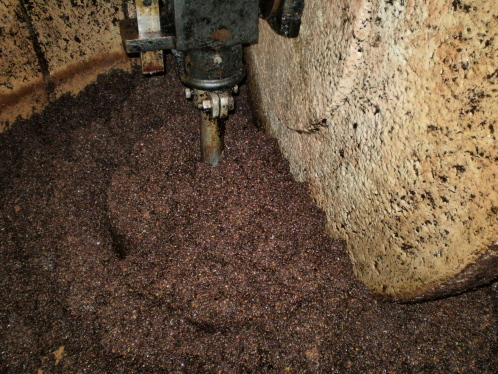 Pulp which rises to the surface of the water in the lower basin is scooped out. 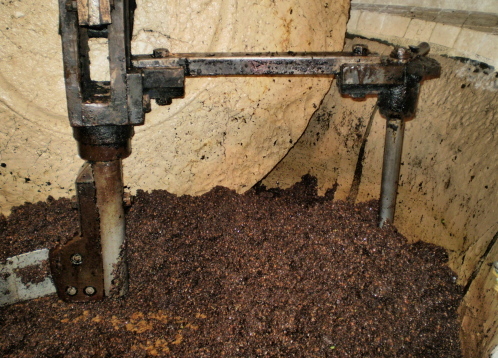 The olive pits remain on the bottom. 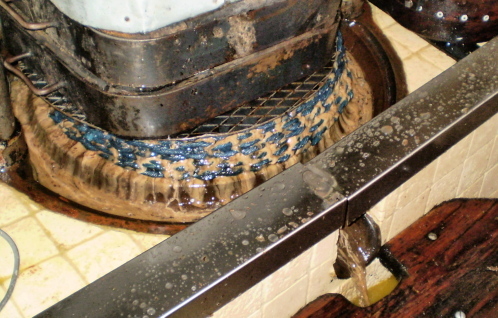 This pulp, and pulp from straining the scooped oil, is put into a fiber basket and squeezed in an old press. 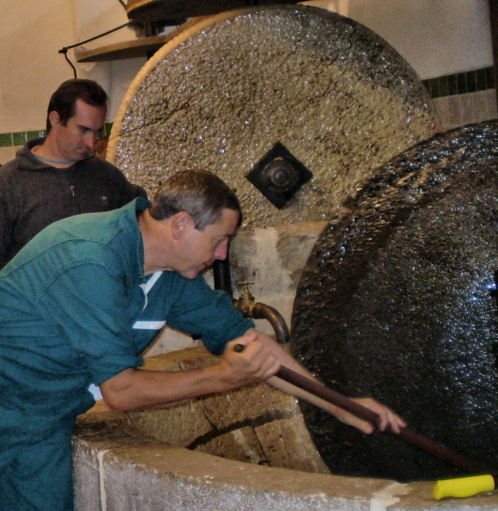 Robert, a retired Nice geography teacher, is carefully scooping up this “second pressing” and straining it into a pail. Finally the oil is transferred to “bidons” for the trip home. 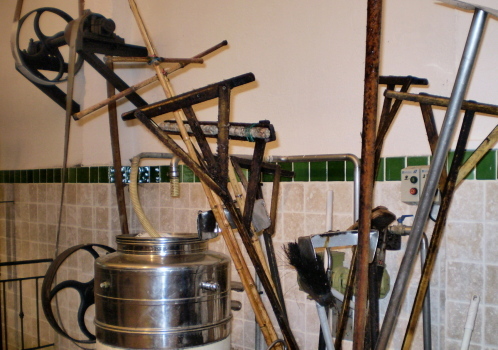 Over the next six months it is transferred twice to other bidons so that any remaining water and residue is removed. 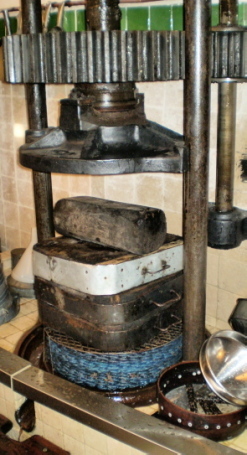 Then it is bottled for use. This is really cool! Thanks for the pictures- it makes a lot more sense to me now. 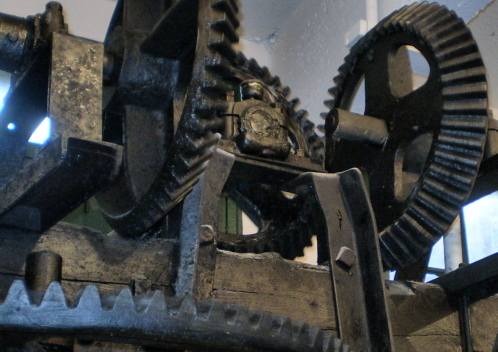 I absolutely love the historic mills. 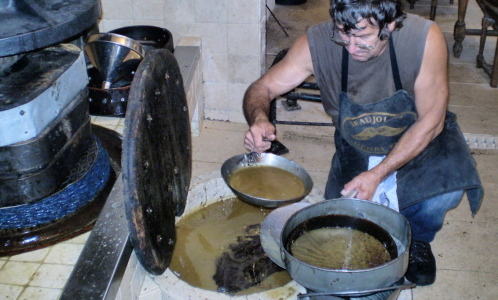 I bet that oil is extra special to cook with since you worked so hard for it! This is very educational! Thank you! 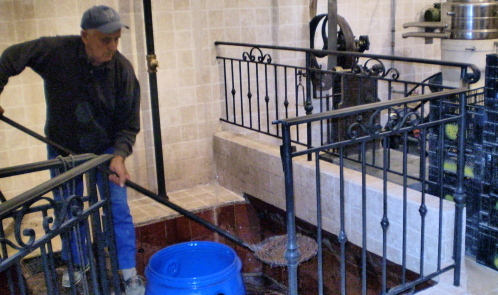 I was always curious about the process of cold pressing olives. I will make sure the kids see this! 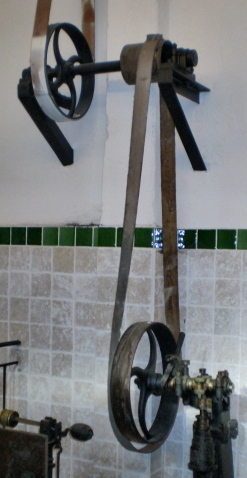 Geting the job done, old school! Thanks for sharing. 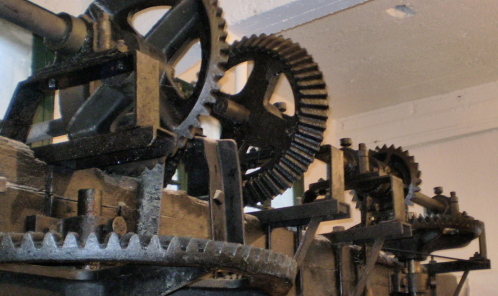 Très joli reportage sur le moulin. Nous reconnaissons bien là Linda la passionnée. I’ve been looking for a good olive oil, thanks! Really cool pictures too.